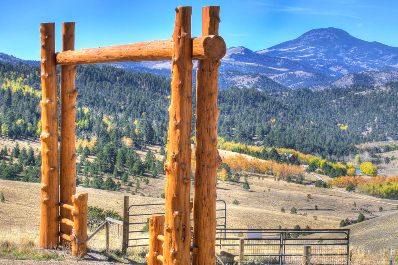 Rare West Properties LLC is a real estate brokerage based in La Veta, Colorado dedicated to providing exceptional and ethical service to the buyers and sellers of Colorado mountain and rural properties. For Buyers, Jim enjoys the challenge of finding the perfect property for his clients. He’ll travel anywhere in Colorado if need be but his love of the La Veta-Cuchara area and the unique properties here keep him near home base more often than not. If you are looking for someone to organize, manage, and complete the search for a RARE Colorado Ranch, Mountain Home or Hunting property Call Jim! For Sellers, the Internet is where it is at. Let Rare West sell your property! Today’s buyers spend hours on the internet searching for properties before approaching a broker. Rare West Properties will market your property on hundreds of websites and multiple MLS databases. Rare West maintains a list of hundreds of sales contacts and hundreds of brokers on a contact management program that allows frequent opportunities to promote your property. Your property will be professionally photographed and for premium properties a video and virtual tour will be online. Frequent activity reports will keep you informed of progress. Write a brief recommendation for Jim Vidamour. Recommendations you write will appear on Jim Vidamour profile.